Honda (UK) is pleased to confirm its continued commitment to the British Superbike Championship and, Isle of Man TT and North West 200 road races for 2010, with the HM Plant Honda team and its strong rider line-up. 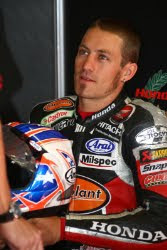 The dynamic rider duo of Ryuichi Kiyonari and Josh Brookes will compete on the CBR1000RR Fireblade in the British Superbike class, with the 2009 British Supersport Champion, Steve Plater, also taking to the seat of a Fireblade in the British Superstock Championship. Building on their long term relationship since 2004, Honda (UK) Racing and HM Plant will be looking to continue their successful partnership and performance for the seventh consecutive year, in what is considered the strongest domestic motorcycle racing championship in the world. 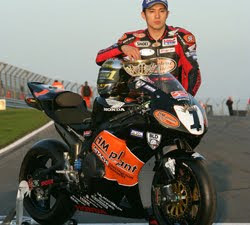 Honda (UK) Racing has a long and successful history in both British and World motorcycle racing championships, taking the World Superbike Championship title in 1997, 2000 and 2002 before wrapping up the British Superbike title in 2006 and 2007 as HM Plant Honda with Ryuichi Kiyonari. 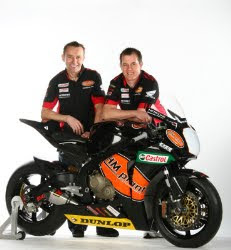 The team has also won many other events, including British Supersport titles with Karl Harris and many North West 200 and Isle of Man races, most notably with TT legend John McGuinness. The British Superbike Championship is the most hard-fought domestic motorcycle racing championship in the world, attracting sponsors and riders from across the globe. The championship’s profile has risen over the last few seasons as television ratings and ‘live’ attendances at the track have increased.